I almost forgot, A software I made with Fabien Donius, AutoSummary, a PowerPoint 2010 Plug-in. Eq 1.0 has been released, it’s now Open Source and available on Github/Hackage and some binary will follow. Eq info page (rather light for the moment, binary will be put here). 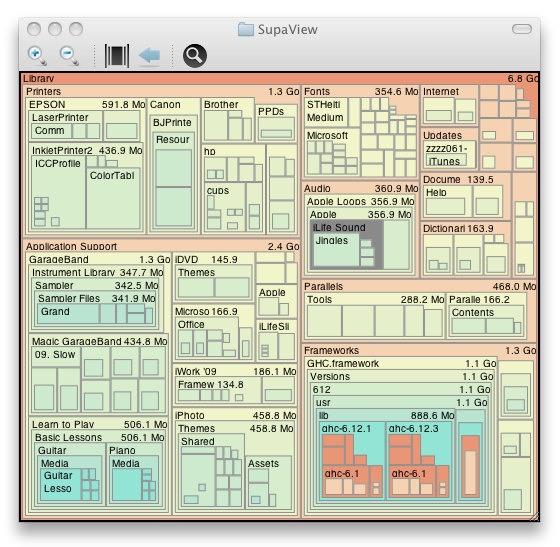 I made a new utility for mac called SupaView, to help you find big files in your hard disk. The software is free (as in beer for the moment), but donation can be made. You are currently browsing the Sound of a pixel blog archives for October, 2010.